WUWM Environmental Reporter Susan Bence stopped in at the Foxconn site announcement ceremony Wednesday in Racine County. She also met with an expert on the watershed, to learn how the huge factory might impact the environment. 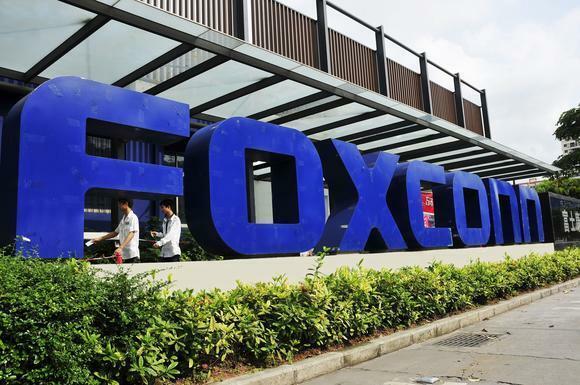 ORIGINAL STORY (10/3/17):For weeks, observers have been predicting that Taiwanese electronics giant Foxconn would build its LCD screen manufacturing plant in Racine County -- possibly near the intersection of I-94 and Highway 11. The wait will be over on Wednesday, when the company formally announces the site. Foxconn and government officials will meet to share the news at 11:00 a.m. in Sturtevant. The Milwaukee Journal Sentinel says its sources confirm that the plant will be built in Mount Pleasant, just east of I-94. Foxconn says it could invest up to $10 billion in the factory, employing 3,000 people initially. The company says over time, the plant could create up to 13,000 jobs. Gov. Scott Walker and most Republicans in the Legislature have heralded the development as "transformational" for the state, providing the much-needed jobs, and generating business among suppliers and others. Walker's team brokered a $3 billion incentives package -- along with a rollback of environmental regulations -- for the company. Most Democratic legislators have been skeptical of the deal. They're concerned about the environmental impact of the development. They also believe the incentives package is too big, for a company that critics say might not deliver on its promises. They also question whether the jobs will go to the Wisconsin residents who need them the most. While the Legislature approved the incentives package, it's up to the Wisconsin Economic Development Corporation -- Gov. Walker's job creation agency -- to approve the final contract with the company. WEDC took up the measure at its meeting last Thursday, but did not vote on it. WEDC CEO Mark Hogan said people shouldn't read anything into the fact that the agency didn't approve the contract at that meeting. He says the agency is taking "whatever time it takes to get the contract right." Could Wisconsin's Foxconn Law Be Open To Legal Challenges? This week, Wisconsin Gov. Scott Walker signed a bill that creates a record-setting $3 billion incentives package for the Taiwanese manufacturer Foxconn. The electronics giant plans to build a huge factory that will make LCD screens. The company says it will employ 3,000 people at first, eventually creating up to 13,000 jobs. The plant's likely location will be in Racine County. Critics of the record-breaking incentives package state Republicans are handing to Foxconn have been vocal since the deal was announced about two months ago. But supporters took center stage Monday as Gov. 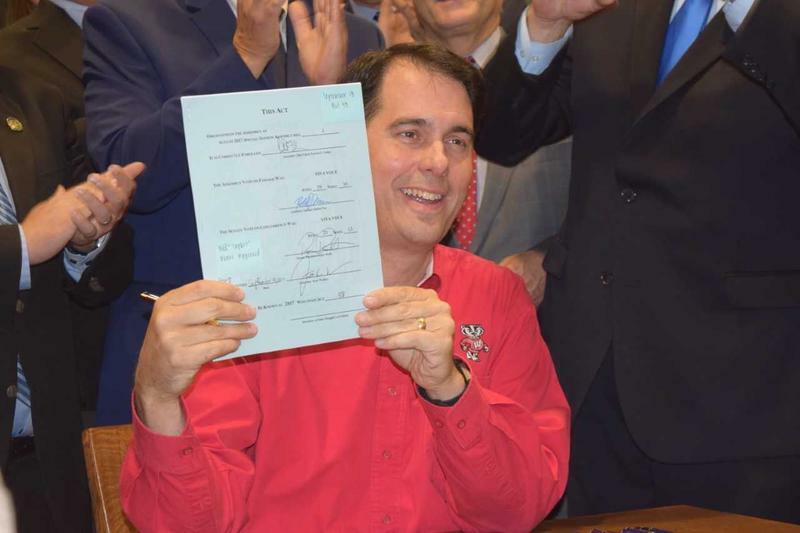 Walker signed the bill. A couple hundred people packed into the iMet Center on Sturtevant's Gateway campus in Racine County Monday afternoon, and Gov. Walker took the stage to rousing applause. The Republican governor’s team brokered the Foxconn deal, which he calls transformational.